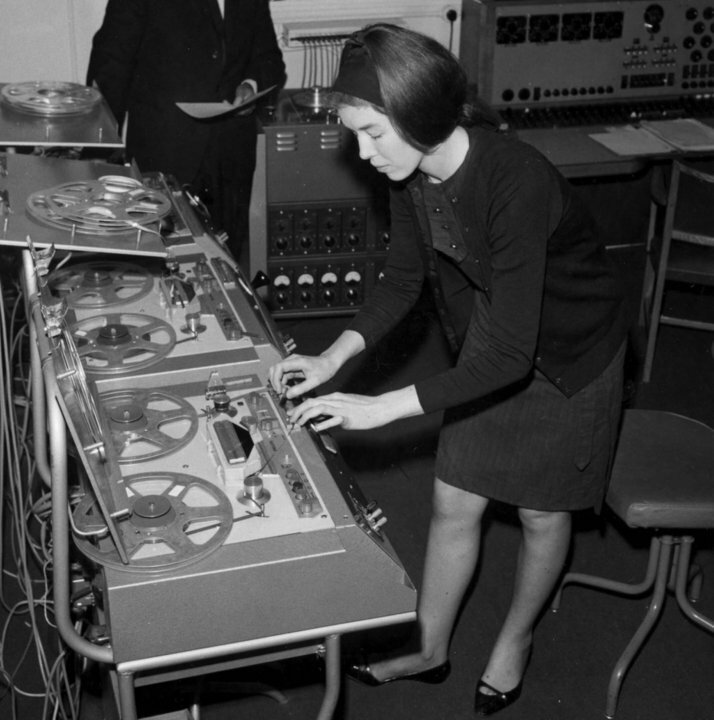 I believe I am smitten with Delia Derbyshire. She was part of the innovative BBC Radiophonic Workshop back in the early 60s and co-created many soundtracks including the Dr. Who theme. This mainstream theme brought electronic music into people’s living rooms for the first time and still holds up after almost 50 years. Delia was a bit of an enigma. The people who worked with her thought she was rather unpredictable and eccentric. She created most of the analog sounds via tape loops and sequenced sounds by physically cutting together tape. There was no roadmap for what she was doing. She eventually rejected the digital synthesizer because she was too much of a sound purist. I want to trapped in a room with Delia.